I’m delighted to report that the accordion will be back with a vengeance at the Dartington International Summer School this year. Martynas Levickis, who has been creating great waves for our instrument in the world of classical music, will be teaching accordion classes, and Amy Thatcher, accordionist and clog dancer, will be teaching a folk course with Kathryn Tickell (Northumbrian piper, fiddler and singer). The Summer School takes place on the Dartington Estate near Totnes in Devon, with its mediaeval courtyard and glorious gardens. It runs for 4 weeks from 30 July to 26th August and attracts an amazing variety of music-lovers of all ages and abilities. The first session of the morning gives the choice of singing in the big choir or playing in the orchestra of the week, and the rest of the morning and afternoon are filled with classes and informal music-making, then at 5.15 the concerts start, finishing with a late night one at 10.00 or thereabouts. You can book for one or more weeks. The principle is that, if you pay to attend the week, you can participate in any of the courses, attend all the concerts, and sit in and watch any of the workshops and masterclasses. You will probably know immediately what your first interest is, but then you can join in anything else you can fit into your timetable! A Dartington visit is never quite what you expect, and you always have to make some difficult choices! Week 2 is the folk week (with quite a bit of baroque music going on as well). Amy and Kathryn will have the whole of each afternoon for their course. They will also be giving the main evening concert on the Sunday, and the class will give an afternoon concert later in the week. There will be a folk choir in the morning, led by Sally Davies and the week will end with a Ceilidh on the Friday night. 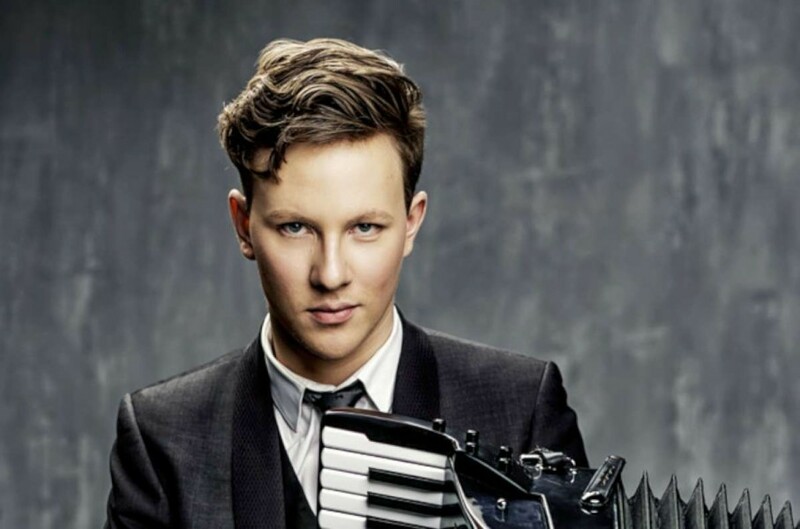 Martynas is coming in week 3, which will have a more classical and Latin American flavour. Each afternoon, he will run an accordion workshop and be one of the tutors in a Bossa Nova and Tango workshop looking at the work of Jobim and Piazzolla. He will also be giving a solo recital and a Tango Nuevo concert with the other tutors. The big choir that week will be singing Haydn’s Nelson Mass, and the week will end with a Tango Ball. Great opportunities to develop your own playing and to make music with other instruments. The cost depends on the accommodation you choose – from camping to a high-quality room in the mediaeval courtyard. For full details, get the prospectus (01803-847080, or summerschool@dartington.org), or look at the website www.dartington.org/summer-school. If you want to ask about the general experience from an accordionist’s angle, give Neil Sanders a ring on 020-7735-4706.